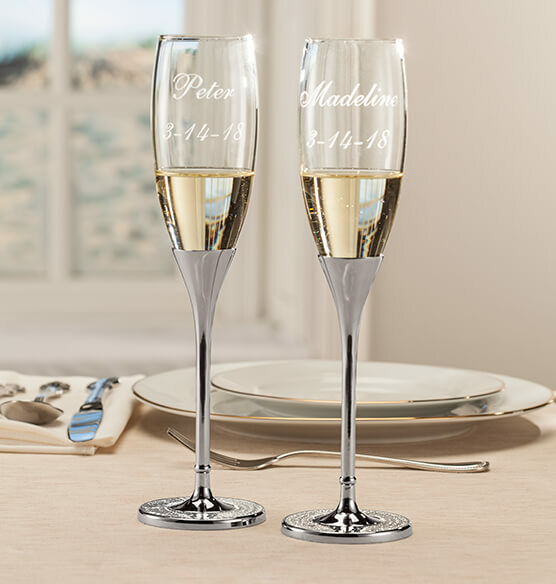 Say "cheers" in glamorous style with this Personalized Brilliance Toasting Flute Set, perfect for a special celebration. Shiny nickel plating and sparkling rhinestones add glitz. 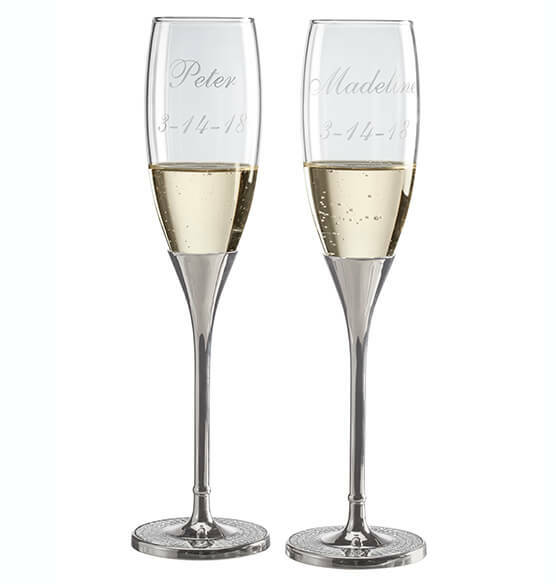 Personalize a name, initial or message on the glasses to create a memorable keepsake of the big day. 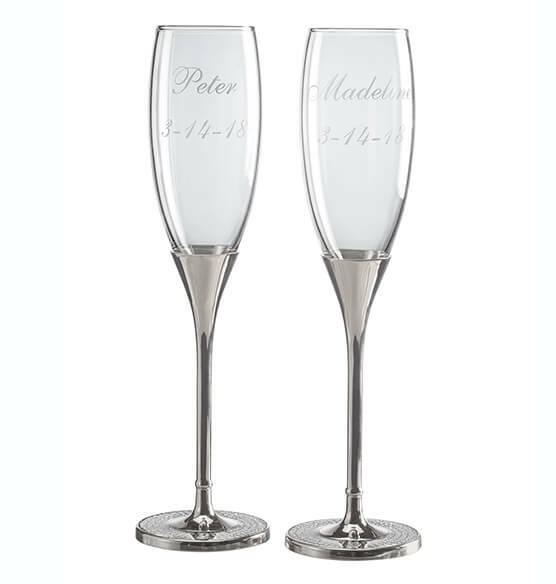 These wedding flutes make a perfect bridal shower or wedding gift.